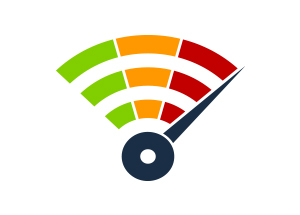 The 802.11ac standard has been around since 2013 providing good, although not perfect Wi-Fi. Our need for greater speed continues to evolve with the prevalence of smart-home devices and streaming-hungry consumers and 802.11ax promises to address this. Most current routers support the 802.11ac standard, which works across both the 2.4GHz and 5GHz spectrum bands. The latest evolution called 802.11ac Wave 2 can even produce speeds of up to 3-5 Gbps. In 2019 we can expect to see a new breed of routers on the market capable of supporting the much faster 802.11ax standard. Experts predict that the 802.11ax WiFi will be capable of speeds of up to 10Gbps. This “High-Efficiency Wireless” standard is not only aimed at high-speed WiFi output but also better security, more efficient data transfer and extended channels. Two additional of the standard’s goals are to improve power consumption and ease network congestion.